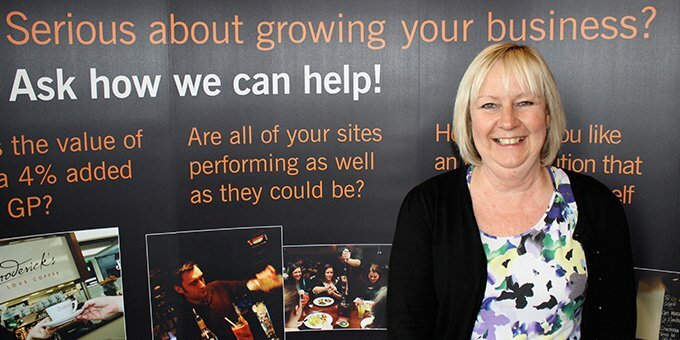 Office manager Ann Cobb has logged over 20 years in the EPOS industry and few can match her enthusiasm, experience or knowledge. A great communicator, she’s the first port of call for many clients prior to passing their enquiries to the relevant department. What are your job responsibilities? I am often the first point of call for clients as their enquires will come to me by either phone, face to face or email. Once I’ve ascertained the client’s needs, I’ll pass on the enquiry to the appropriate department. I am also responsible for invoicing and ensuring all the relevant documentation relating to sales and purchases is in place as well as account maintenance, SLA renewals, purchase orders and other administration requirements. What is your previous experience? I’ve always worked in customer related environments and enjoy meeting and mixing with people. I was the departmental supervisor for 10 years at a major UK retailer and the experience has equipped me with good communication/organisational skills that I have been able to use at GS Systems. What attributes are essential to do your job? Good communication skills are essential alongside a positive approach to work. It costs nothing to be cheerful and look at the glass as half full rather than half empty! Good organisation, an open and transparent approach to dealing with customer enquiries and an empathetic approach to work are all important too. And you have to enjoy working under pressure. What are the biggest challenges in your job? Two real challenges. First, ensuring all paperwork is completed correctly so everyone knows exactly what’s been done on the work front. Second, ensuring I build strong, confident relationship with clients them so that they feel they are number one and not just a number. Where have you added value to clients? By ensuring that from the moment they place an order with us they can access to our considerable knowledge bank – whether it is assisting with the completion of contactless payment or chip n’ pin forms to arranging training or additional support. We are here to help them. And hopefully exceed their expectations. What are your most enjoyable work experiences? When a client phones and says what a marvelous job we have done and personally praises a member of staff and the company. I enjoy passing that praise on as well. What is your best tip to help a clients’ business grow? Keeping track of their money via an EPOS solution will definitely see their profits grow. Why do you like your hobby/interest? I like the socialising and travel best because the first four can be solitary experiences. Favourite song? Sacrifice by Elton John.